Sometimes you like being sore. After all, it reminds you of how hard you pushed yourself at the gym or in your fitness class. It’s a small sign that you gave something your all. But that feeling lasts for about 5 minutes before fading into annoyance that it hurts to walk or go upstairs or, probably the worst, sit down. That’s where these CBD topicals come in. They help soothe sore muscles so everyone, from the athlete in training to the weekend warrior, can get back to feeling their best, fast. CBD also boosts your endocannabinoids, which science has long-science known can alleviate or block the perception of pain. (Take note if you have a habit of popping ibuprofen after your sweat session.) And if your going to the gym to try to lose weight and keep it off, even more reason to start supplementing with CBD. Cannabinoid use was associated with lower fasting insulin levels, a study found, suggesting to helps regulate blood sugar. Stable blood sugar levels means fewer drops in energy that can make you skip the gym or reach for a sugar-laden snack. 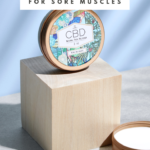 But do CBD topicals really work on sore muscles? Science is lagging a bit behind the CBD market, unfortunately. There aren’t many studies done on humans to determine what CBD can and cannot help treat. That hasn’t stopped people from jumping on board the trend. In fact, even Kristen Bell says she swears by CBD topicals to help soothe her sore muscles. “I love my @thelordjones body lotion for my sore muscles after working out,” Bell posted in an Instagram story back in June. (For the record, I’m also a fan of the Lord Jones lotion, and count it among the CBD products I swear by.) 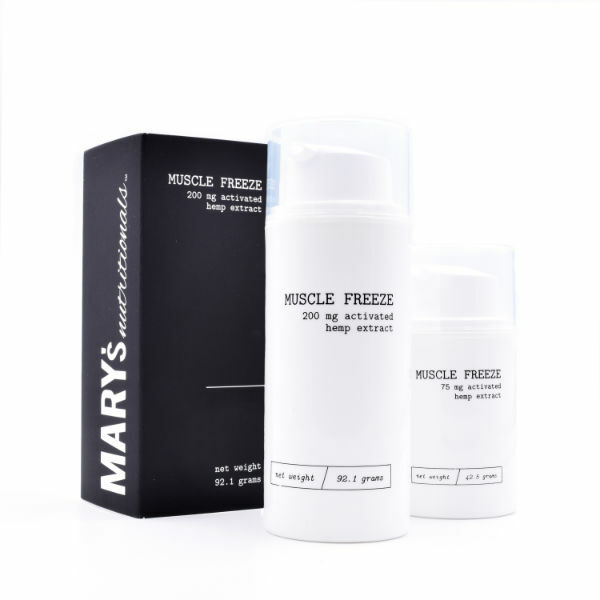 Unfortunately, CBD topicals might not reach your actual muscle. “Any cream with a heating or cooling sensation desensitizes the nerves to pain by distracting them with stimuli on top,” Ricardo Colberg, M.D., a physician at Andrews Sports Medicine and Orthopaedic Center in Birmingham, AL, told Shape. Many of the best CBD topicals use other analgesic compounds, like camphor, arnica, menthol, and capsaicin. So that means they might make you feel better, but they’re not getting to the real root of the problem. But he points out that it isn’t all bad news. Simply believing CBD topicals help your sore muscles may actually make it eliminate those aches and pains. Plus, he points out, you’re also generally massaging the area when you use them. Doing that boosts circulation and can cut down on muscle spasms. The biggest problem you might face is that there’s currently little regulation on the claims made by the companies behind these products. “If you have three products that say 1 percent CBD infused in coconut oil, one could be great and the other two could be crap—that’s the reality of cannabis medicine right now,” Gregory Gerdeman, Ph.D., neurophysiologist who researches cannabinoid biology and pharmacology at Eckerd College in Saint Petersburg, FL, told Shape. That’s why it’s important to find brands you feel like you can trust. When I sat down with the founder and co-CEO of Foria, Mathew Gerson, he told me it’s essential for consumers to look holistically at a brand. That might sound vague, so I asked him to give me 6 red flags you need to look for when shopping for CBD products. In that guide I also breakdown how to go about getting the potency information from companies you’re looking to buy from. Sore muscles can really hold you back in the gym. For beginners, DOMS (delayed onset muscle soreness) can keep them from the gym 2, even 3 days beyond the workout that caused the aches. Whether you’re in the gym to increase performance, build muscle, or lose weight, you need to be there consistently to hit your goals. Even if sore muscles don’t keep you from the gym, they can hold you back from giving it your all. So what’s the best way to soothe them? While all CBD topicals hold some value in easing the achy feeling, you want more than that. What you should look for is a high-quality product with other pain-relieving ingredients. Ideally, there’s something that goes to work immediately while you wait for the CBD to absorb and work its magic. These CBD topicals do exactly that. Here’s what they are, how they combat muscle soreness, and how much they’ll cost you. 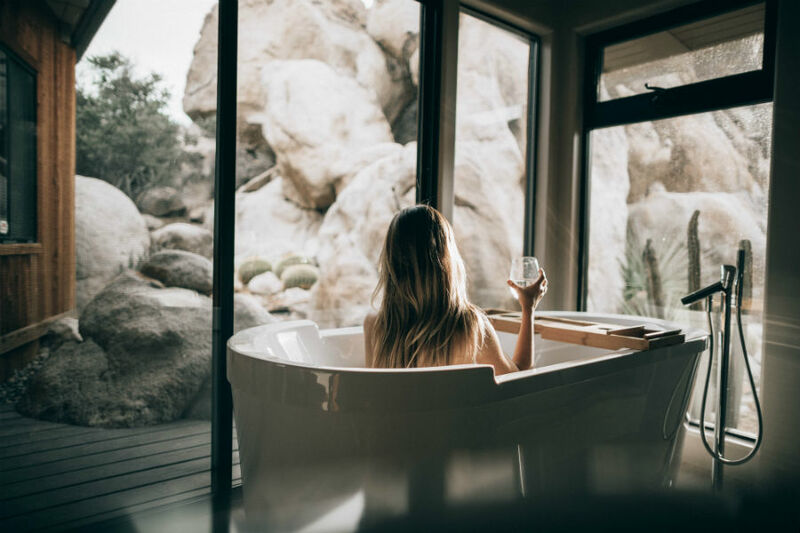 Epsom salt baths are probably already in your self-care routine. Warm water is soothing by itself, but Epsom salts speed the relaxation. In water, the salts break down into sodium and magnesium. Magnesium, once absorbed through your skin, helps flush lactic acid build-up, which is why these baths are go-to tools for athletes. But magnesium isn’t the only thing going to work while you wait for the CBD to kick in. 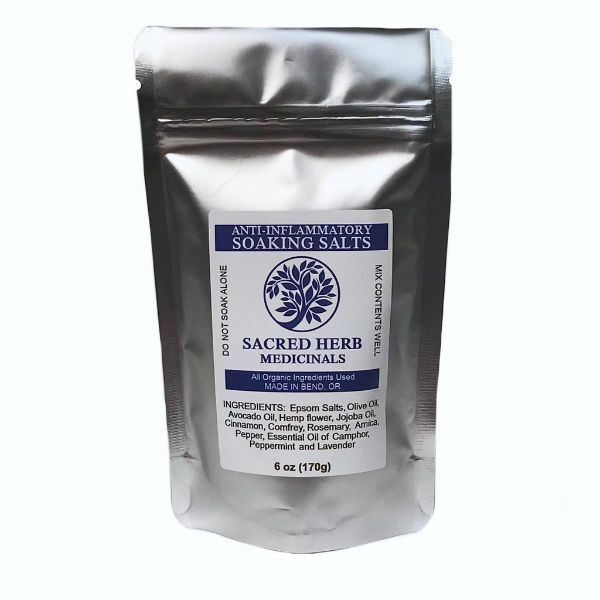 These soaking salts are also laced with camphor, which can increase blood flow and decrease inflammation caused by irritation when applied topically. By soaking in a mixture of both, you’ll get the soothing benefits all over. Even better, this CBD product is made with only organic ingredients, ensuring you won’t absorb any unwanted chemicals during your soak. After you’ve soaked, you probably want to get in there and break up any muscle knots you have forming. Whether you’re going to work it in or just slather it on, this rub is a quality choice. 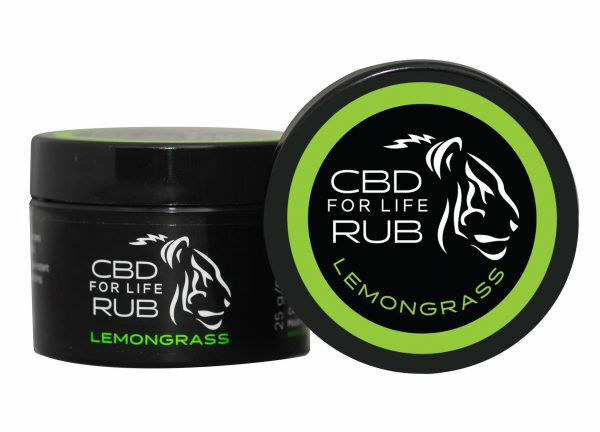 The CBD starts soaking in as you apply it, but the rub gives your muscles instant relief. That’s because it’s packed with peppermint, eucalyptus, and menthol essential oils that give the rub that satisfying cooling sensation. This muscle rub also packs camphor, just like the soaking salts. But you can also be proud of the way this CBD topical is made. You’ll soothe sore muscles without parabens, phthalates, formaldehyde, or artificial coloring by turning to this brand. They also use non-GMO ingredients whenever they’re available. Choose between Original, Lemongrass, and Lavender muscle rub. Aches and pains don’t always hit you when you can massage in a muscle rub. 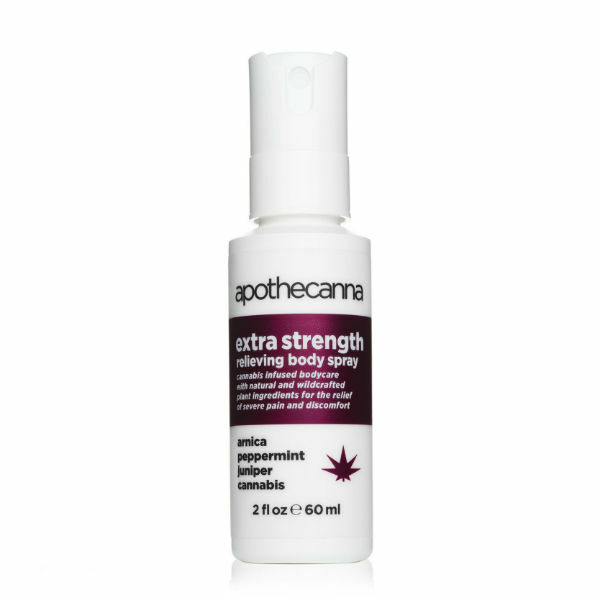 For those hard-to-reach areas or even for faster application, there’s this CBD pain relief spray from Apothecanna. They use peppermint essential oil as well for that instant cooling sensation, but also other pain-relieving ingredients. You’ll also find juniper and arnica in this little bottle. Juniper is an antirheumatic, which means it helps with the pain associated with inflammation around the joints. That teams up with CBD and arnica, which is also an anti-inflammatory and a natural analgesic, or pain reliever. You’ll find glowing reviews from runners all over the page for this CBD topical. Maybe that’s because it combined menthol and camphor to immediately go to work alleviating your toughest aches and pains. While that sinks in, the CBD can go to work, and Mary’s Nutritionals has used full-spectrum hemp to make sure you’re not missing out on any of the health benefits of the terpenes. We also love that this formula doesn’t use parabens. Parabens are man-made preservatives that data indicates may act as endocrine disruptors. That means they can throw off your glandular activity and hormone production. Some work even indicates they they may contribute to premature aging of the skin. That’s not as big of a concern if you’re applying a lotion to your legs as your face, but we still like that they skipped them. Hands-free application and a smooth, not sticky or oil, finish means you can spray this on when you’re on the run. Take note, morning and lunchtime gym-goers. Throw this one in your bag so you can knock out pain and stiffness before you head to the office. Rest assured that even if you change into nicer clothes, this one’s not going to transfer. Cooling menthol and peppermint step in first to soothe wherever you’re sore and start quelling inflammation. That allows for the CBD from full-spectrum hemp in this formula get to work for lingering relief that will help you walk not limp out of the gym. We’re really excited that this product works double duty. 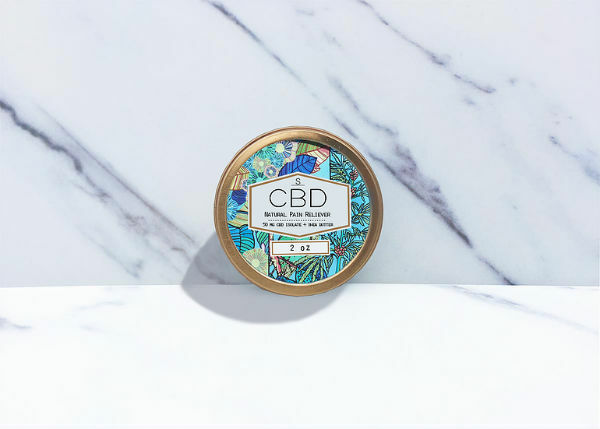 Of all the CBD topicals on this list, this natural pain reliever is the only one made with hydrating shea butter as the base. That means it’s leaving your skin more hydrated while it goes to work soothing those sore muscles. 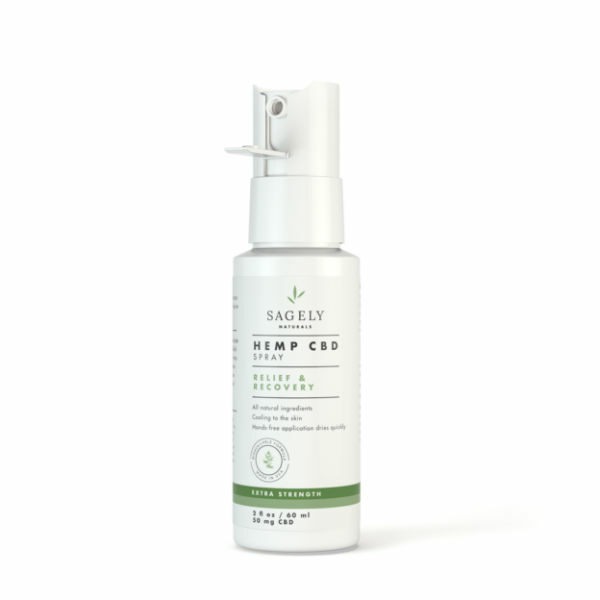 They use hemp isolate in their formula rather than broad- or full-spectrum, but add in menthol and eucalyptus for instant soothing. Arnica also joins the CBD in the salve to help ease tenderness on contact.